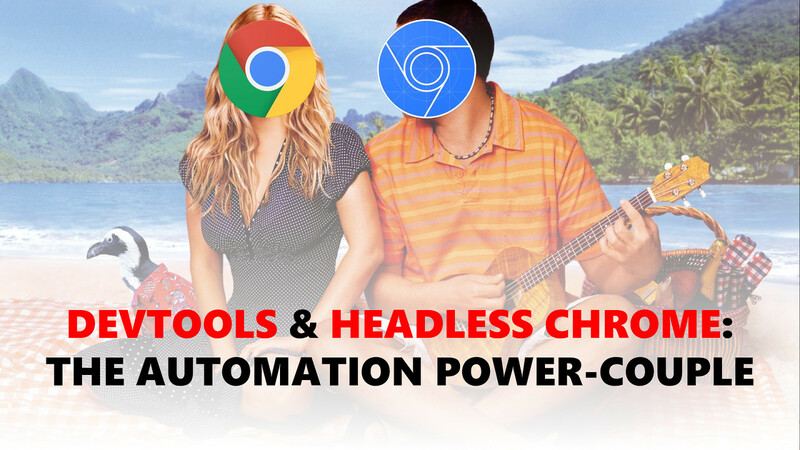 View DevTools and Headless Chrome - The Automation Power-Couple on Notist. In this talk, we'll see what problems we can fix (or better yet, avoid) by combining two things developers love: Chrome DevTools and automating repetitive tasks. To do this, we'll use a new capability introduced in Chrome 59: running Chrome in "Headless Mode". First off, we'll show the powers of each of these tools separately. We'll use DevTools to debug other platforms like node.js, and we'll use Chrome in Headless Mode to run tests, take screenshots, and to scrape sites for data. Then, we'll explore how by combining the two you can perform any DevTools action from code. Using this approach you can have DevTools work for you around-the-clock and monitor everything about your app (amount of unused CSS\JS, memory footprint, etc.). After attending this talk prepare to never say "Sorry I can't automate this" ever again.